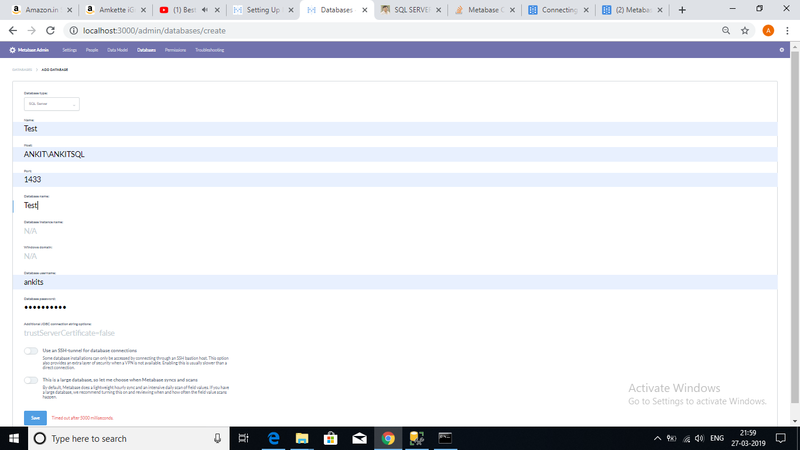 I am facing problem while connecting to SQL Server with Metabase. It doesn’t show any error. Error: Timed out after 5000 milliseconds. Which version of Metabase and which version of SQL? Check the Metabase logs for more details. Do you see any connection attempts on the SQL? 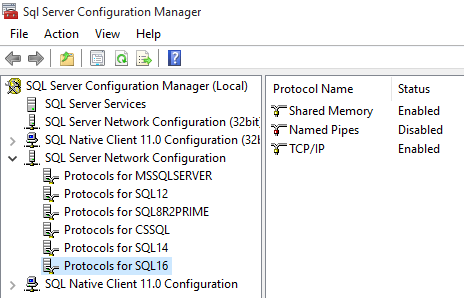 I am using SQL Server 2017.
in SQL Server Management Studio it’s connecting fine. Check your port number. If you install MS SQL on a non-default instance, it doesn’t take 1433. This isn’t normally a problem in Windows as the drivers detect the dynamic address. JDBC (as used by Metabase) doesn’t.